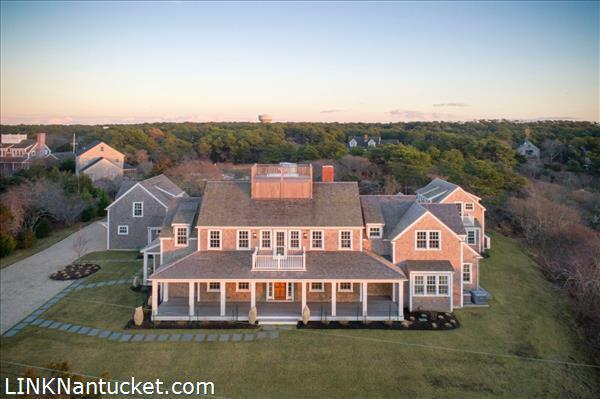 First Floor: Enter from a large front porch with views of the Monomoy Creeks to a bright foyer with vaulted ceilings up to the third floor. 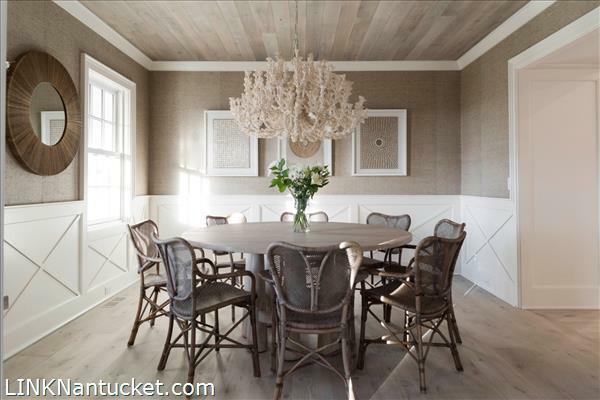 To your left a formal dining room is adorned with high-end finishes including custom ceiling and trim work and is impeccably furnished. 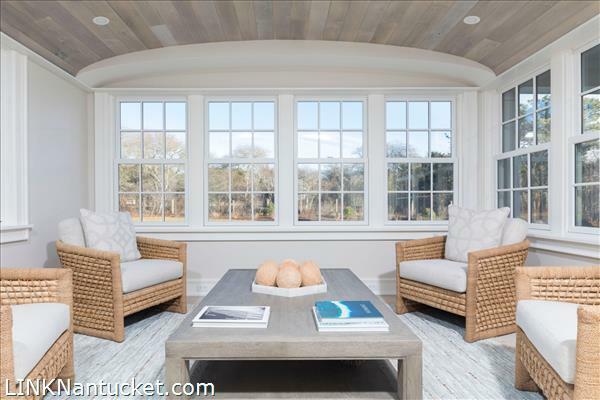 Straight ahead is a comfortable living room that seamlessly transitions to the back deck and pool area. 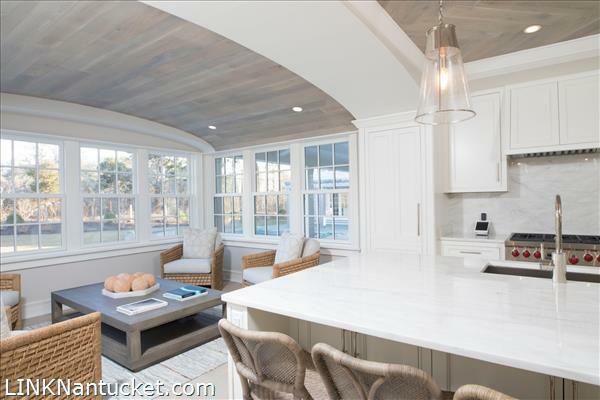 The chef’s kitchen can be accessed by the dining room or the family room and is the ideal space for family and friends to gather. 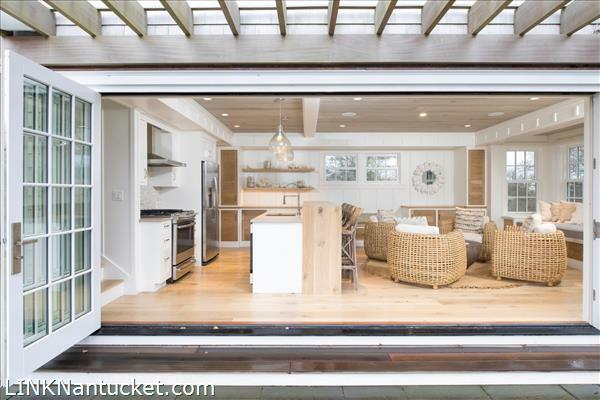 Complete with a sitting area and surrounding windows for views of the pool and back deck. 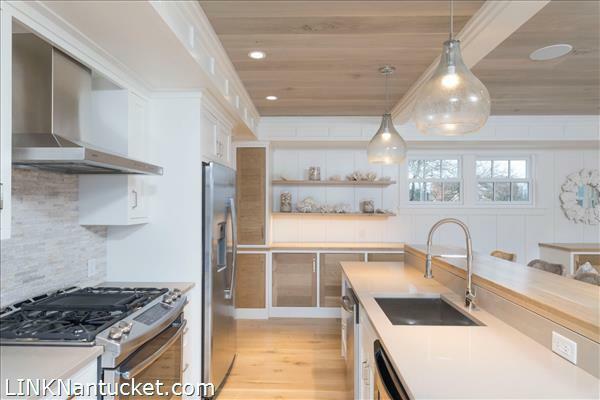 Off the kitchen is a mud room with a half bath, laundry facilities and access to the side entrance. 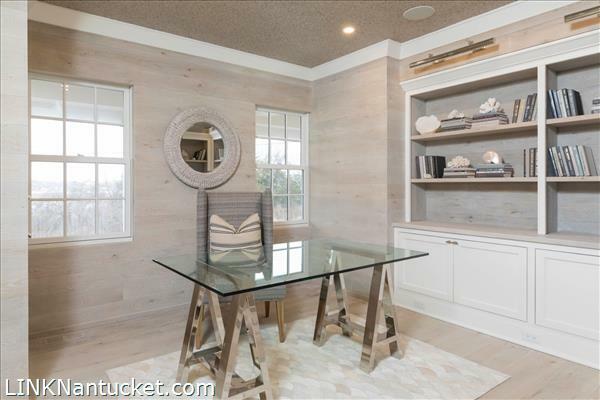 A office/den is located off the living room and features exquisite design features including custom flooring, wood wall finishes and built-ins. 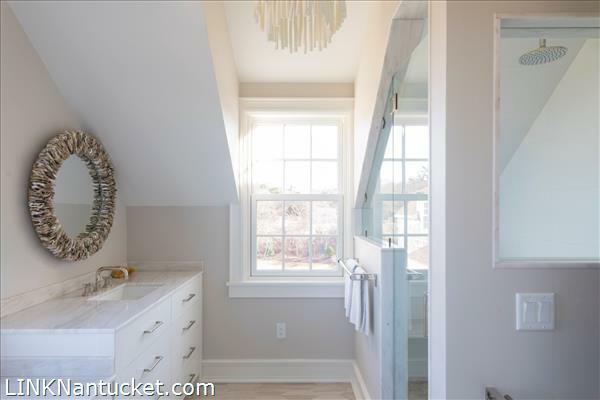 The master suite is found off another corridor with a wet bar, half bath and access to the back yard. 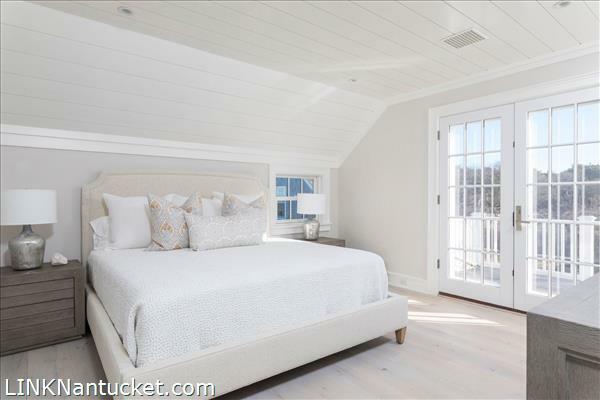 The master features a separate sitting area, large walk-in closet and en suite bath with incredible views. 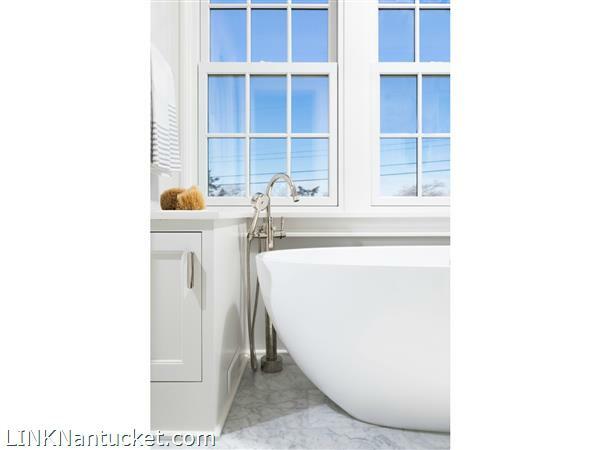 Second Floor: The second floor offers four guest suites all with beautiful en suite baths. 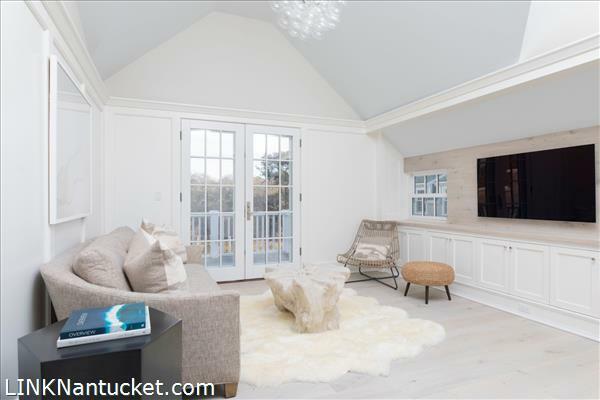 A sitting room is the central focus of this floor with access to a back deck with views of the back yard and pool area. 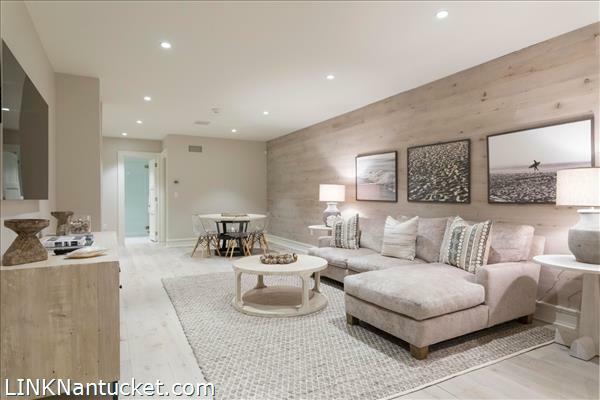 The second floor master is found at the end of the hall and is separated by a corridor with laundry facilities. 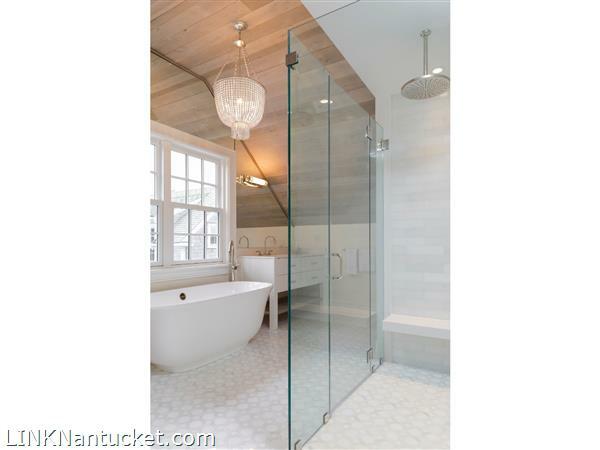 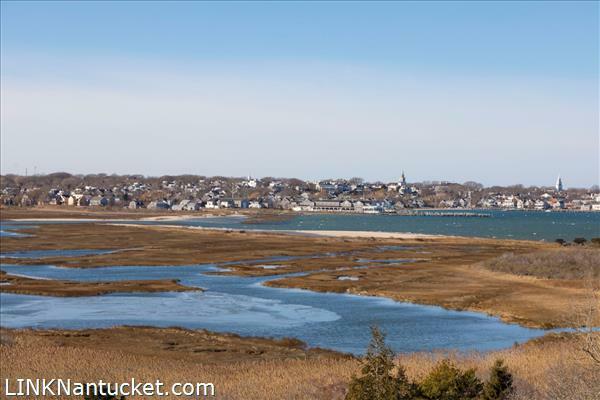 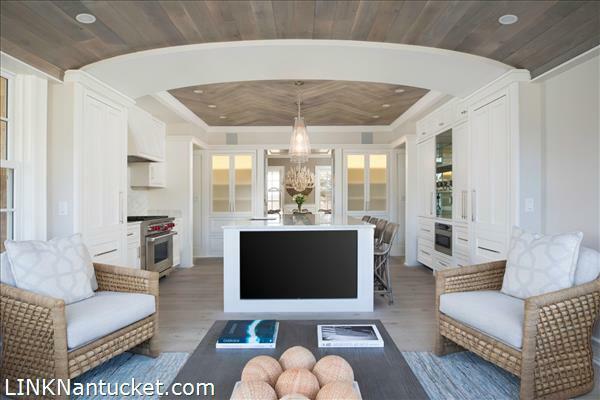 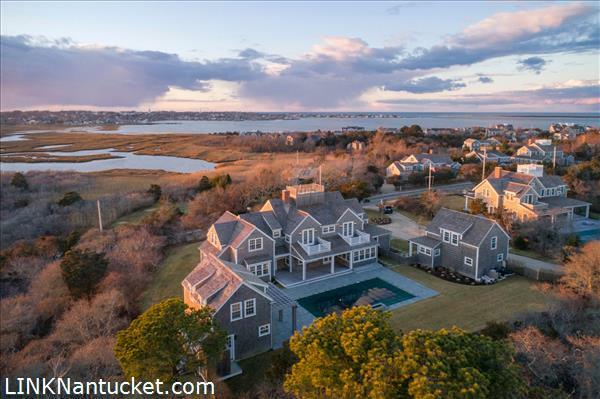 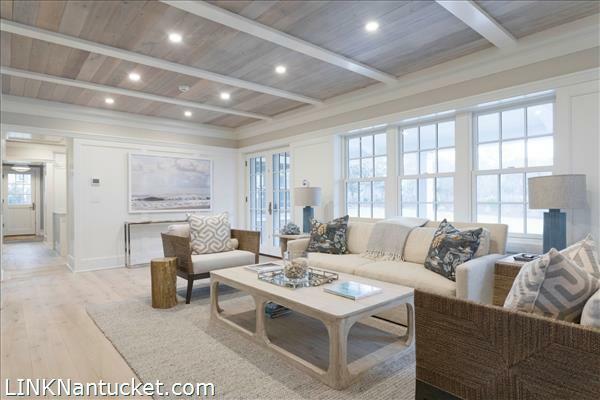 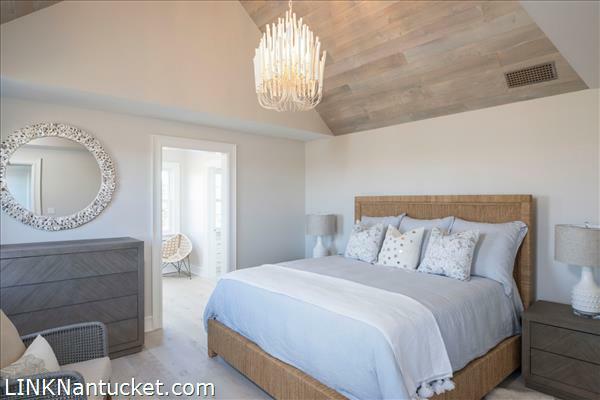 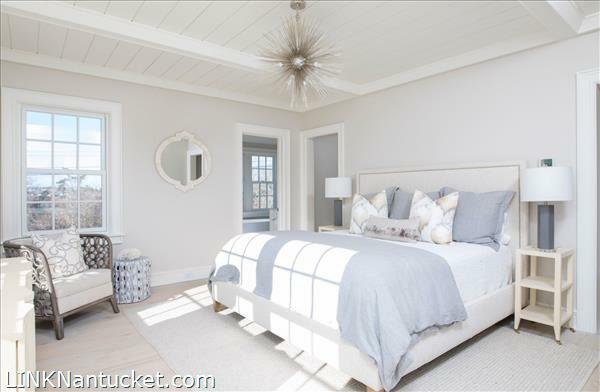 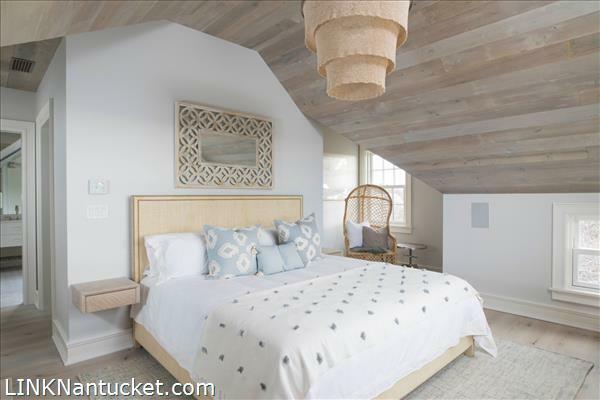 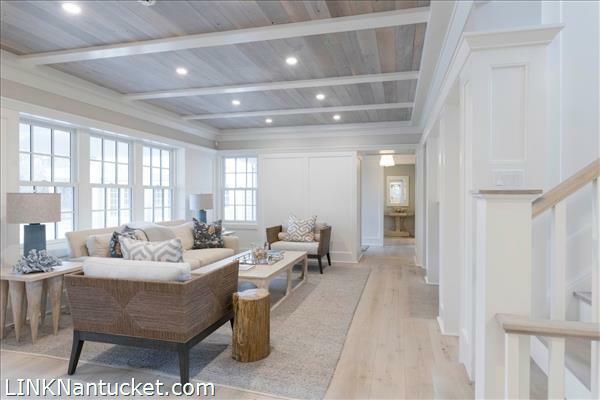 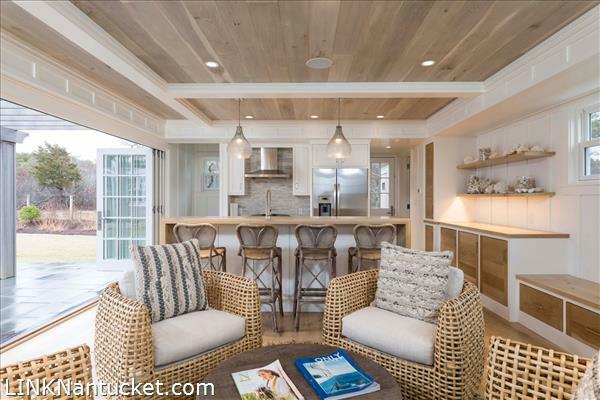 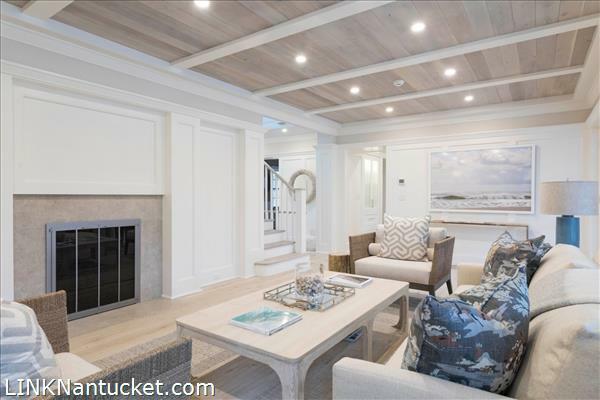 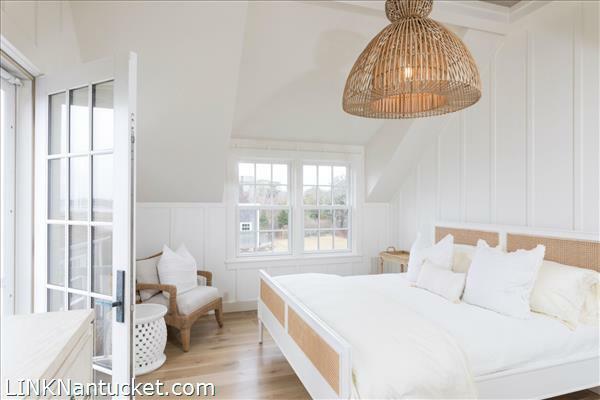 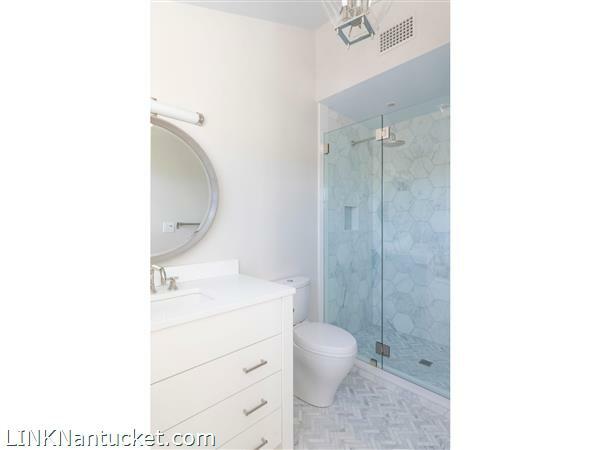 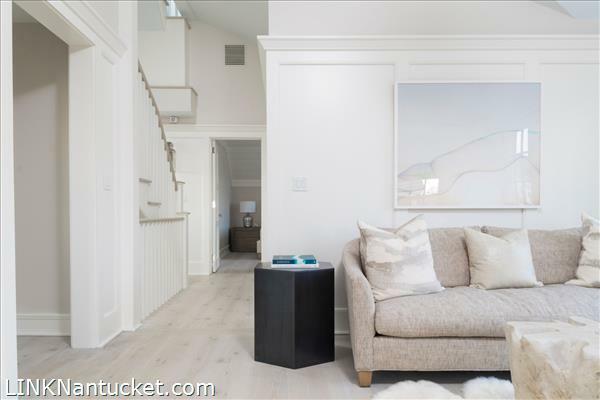 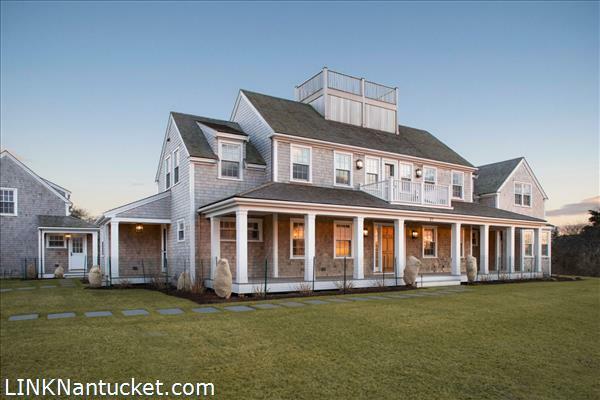 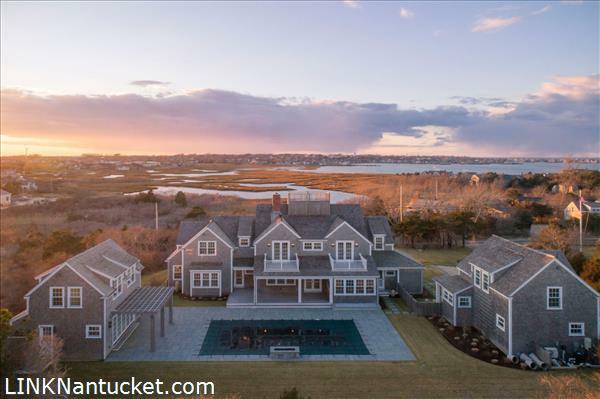 The master features a large bedroom with custom ceilings and views of the Monomoy Creeks, a spacious walk-in closet and a gorgeous en suite bath with a soaking tub, glass shower and custom design details. 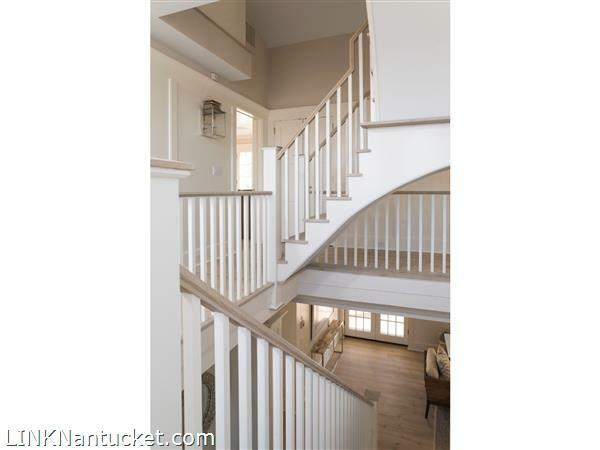 Third Floor: Stairs from the second floor lead to the widow’s walk. 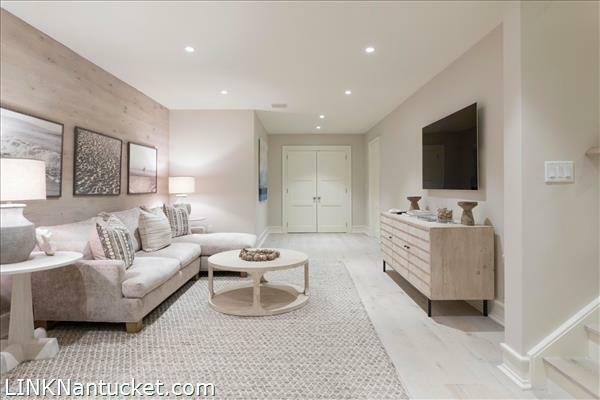 Basement: The basement offers a bunk room with a full hall bath, living area and unfinished space for a gym, home theatre or game room.